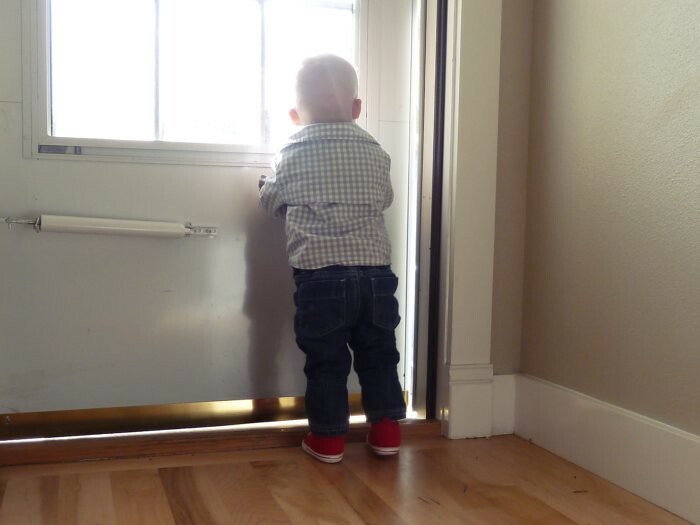 This was Israel this morning, waiting for his Grandma to come in the house from her car. omgoodness - those little sneakers are the cutest!!! and we ended up investing in some security doors, and then an out of reach lock for the door to the garage .... it has only just begun! that is so sweet! you can tell by his body language that he is waiting for someone special. wow, he is growing up so quickly. i love that you take speak of each precious detail of his personality developing. I'm guessing your family loves it even more than you! This is so freaking adorable. That is such a sweet moment! Isn't amazing to discover those things your child is able to achieve, open the door, switch on the light, change the TV channel, open the DVD player...didn't know they are such a 'big' deal and big joy until I become a mum :) Happy new year to everyone! Hope the little package has arrived to your house, wasn't forgotten in the post man's banana boat! that is one proud grandma i bet.